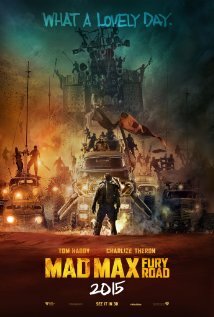 This week on The Good The Bad The Ugly Film Show Adam, Greg and Nick take a look at new release films ‘Poltergeist,’ ‘Partisian,’ ‘Tomorrowland,’ ‘San Andreas,’ and ‘Gemma Bovery′ . This episode also contains interviews with George Clooney, Hugh Laurie, Dwayne Johnson, Alexandria Daddario, Carla Cugina and Spiro Economopoulos (Jazz On Film Fesitval). 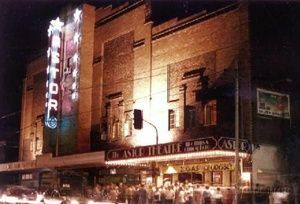 The new Astor Theatre calendar has been revealed and is now available online at www.astortheatre.net.au. The much-loved calendar, featuring the coming three months of films scheduled for the Astor, will also be mailed to over 20,000 Victorian film fans this week. The calendar features a carefully curated selection of classic and new release films and sees the return of long-standing favourite, the Astor double-feature. Showing at 7.30pm each Wednesday night, the double features kick off with GET CARTER and POINT BLANK on June 10; THE GOONIES and BEETLEJUICE on June 17; and a trip through bat country with FEAR AND LOATHING IN LAS VEGAS and REPO MAN to round out June. Screenings on celluloid remain alive and well at the Astor, with Palace Cinemas making good on their promise to retain both 35mm and 70mm formats for the new program. Time-honoured Astor staples POLTERGEIST, ALIENS, BARAKA and HAMLET are all back for screenings on 70mm, while Martin Scorsese’s MEAN STREETS and the brilliant Ken Russell film THE DEVILS will be shown on rare 35mm prints sourced by new manager, Zak Hepburn. Director Gillian Armstrong’s new documentary, WOMEN HE’S UNDRESSED will premiere on Thursday June 25 with a red carpet gala event to celebrate the re-opening of the Astor. Armstrong, a Melbourne local, will appear at the gala to introduce the film, which looks at the career of the largely unknown Australian costume designer Orry-Kelly who dressed the likes of Marilyn Monroe, Bette Davis and Ingrid Bergman during Hollywood’s golden age of cinema. In tribute to Orry-Kelly’s career, the Astor’s forthcoming film program will showcase his handiwork in MALTESE FALCON, ARSENIC AND OLD LACE, CASABLANCA and SOME LIKE IT HOT.